The pipe extrusion process is a component of many manufacturing systems, including automobile components among many other applications. 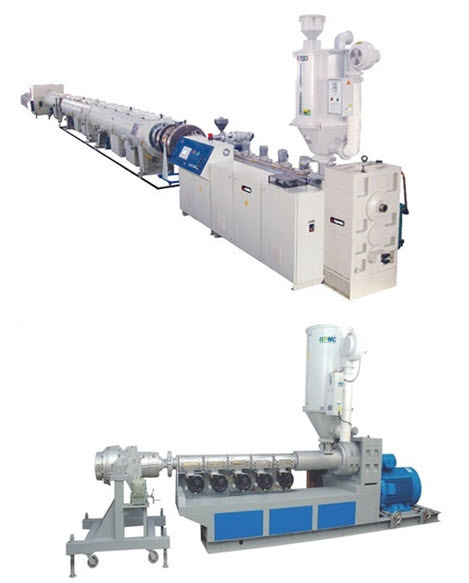 At its most basic, the pipe extrusion process involves feeding the material into one end of a hopper where it is melted and then forced through a die which forms it into a pipe. The material gradually hardens as it cools. The plastic may come in the form of pellets or other raw form. Resin may also be used. The manufacturing process is typically set up as gravity fed, with the hopper mounted on top of a barrel, where the melting takes place. Heating is often performed in multiple stages that become progressively hotter. Gradual heating is preferable since it avoids overheating and damaging the plastic polymer.